Allegro Culture transforms lives through music and dance, positive role models, tradition and innovation. We have 25 years of excellence in the arts. We believe in family first, community presence, creativity and enthusiasm, age appropriate performances and a whole person approach. ASDM's culture of tradition and innovation allow our students to soar. Students at our studio receive: Positive Adult Role Models, Proven & Progressive Curriculum, Peer Learning and State of the Art Facility with Sprung Floors! Syllabus: The syllabus for the Pre-Professional Ballet Division is designed and coordinated by Darla Hoover, Associate Artistic Director. The syllabus is based on pure classical training and prepares students for a professional ballet career. Pre-Professional Ballet Division for ages 7-18. Admission is by audition. (Pre-Professional Summer Intensive offered in August). Enrichment Program for ages 7 and up with no audition required. Pre-ballet, modern and tap for ages 2-6. Open adult classes in Ballet, Tap, Pilates and Yoga for all levels and ages. BDC offers many programs and workshops including our Children & Teen Program (CTP), International Student Visa Program (ISVP), The Professional Semester, Summer Intern Program, The BDC Training Program, Work-Study Program as well as many ongoing workshops such as our Absolute Beginner Workshops and Rockette Experience. With more than 26 years in business, we are proud to be known as a “home away from home” for dancers. By offering unsurpassed dance instruction with over 200 different classes weekly in our 23,000 square foot state-of-the art facility, we have established an unparalleled reputation worldwide. Whether you’re a beginner or an established professional, our famous studios are sure to offer just the class you seek. Experience the JOY of Dance & Music! From your child's first class to their graduation performance, Chara has a dance class or voice/music lessons for everyone! We specialize in beginners of all ages and offer training through pre-professional levels. However, Chara Christian Dance Academy is More Than Just Great Dancing™! Our dancers go beyond technique to develop important life skills, learning to be respectful, confident and conscientious young people who share their gifts and talents with the community. Chara is a positive, Christian environment with modest costumes and choreography, role model instructors and great management. Club di Movimiento Aruba Dance School is actively involved in the social responsibility of developing the dance art, nurturing confidence, self-disciplined and self-motivated students. We foster a love for dance and develop each student as a whole person in a friendly environment. Encouraging students to have high aspirations and expectations. 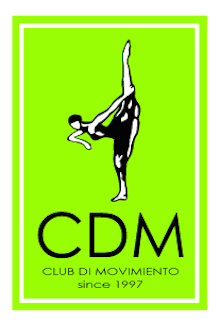 Club di Movimiento Aruba Dance School takes great pride in providing students with the best possible education in all discipline of dance. The dance curriculum is designed to cater for students who are seeking a fun, once or twice a week dance class and those who desire a more intensive program that may lead them into a professional dance career. Our studio is not only proud of it's reputation for developing strong aruban dancers but also for creating a family environment that promotes discipline, self-respect and respect for others. 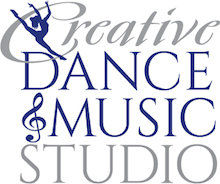 Established in 1985, Creative Dance & Music Studio offers a quality education in both dance and music with a talented and caring staff. From your child’s first class to their graduation performance, CD&MS has a class for everyone. We specialize in beginners of all ages and offer training through advanced and competitive levels. Our students go beyond fundamentals and technique to develop important life skills – learning to be respectful, confident, and conscientious young people. CD&MS offers the only combination & wide selection of dance & music classes on the Westbank, including specialty classes for pre-schoolers, music lessons in piano, voice, and guitar, and dance classes of all ages and levels. With 3 dance studios and 2 music studios, we are sure you can schedule all of your family's needs conveniently. We have been in Bloomington for 31 years. We serve students ages 3 through adult. we offer a recreational, an intensive and a pre-professional track for students. We perform in the community and at competitions. 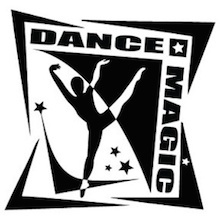 Dance Magic Studio is committed to providing lessons in a fun, upbeat and positive atmosphere; supported by teachers with a passion for learning and the arts. Our goal is to share our love of dance and music with those in our community while encouraging positive growth and development in every aspect of their lives. Our non-competitive atmosphere aims to nurture self confidence, personal friendships and lasting, lifetime memories. Personal attention and care is taken in every aspect of your Dance Magic experience. EDGE is home to an all star roster of industry professionals whose work has inspired generations of dancers. Mandy Moore, Sonya Tayeh, Marguerite Derricks, Adam Parson, Tovaris Wilson & Tabetha and Napoleon are just a few of our faculty. 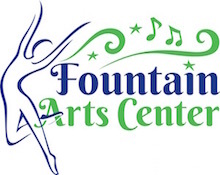 From your child's first class to their graduation performance, Fountain Arts Center has a class for everyone! We specialize in beginners of all ages and offer training through pre-professional levels. But, FAC is More Than Just Great Dancing™! Our dancers, musicians and karate students go beyond technique to develop important life skills, learning to be respectful, confident and conscientious young people who share their gifts and talents with the community. We Offer Dance, Music, Acting, Art & Yoga for ALL Ages & ALL Abilities in an Inspiring Environment that truly is More Than Just Great Dancing! 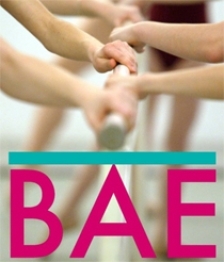 The Joffrey Ballet School fuses multiple styles of balletic training to create a curriculum that is uniquely Joffrey. We have incorporated fundamentals and best practices from these styles to create the American style of dance training that is Joffrey. We have gone many steps further incorporating modern understanding of human anatomy and physiology to minimize dance related injuries while maximizing strength, endurance and flexibility. The Joffrey dancer is also trained in multiple other forms of dance including Jazz, Modern, Contemporary, Hip-Hop, Character, and so much more. 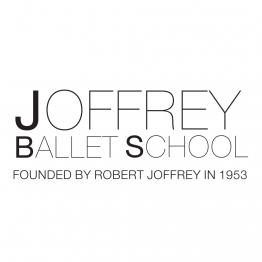 The Dance Training at the Joffrey Ballet School has been designed into levels appropriate to the age, maturity and dance expertise of each student. Students will elevate to higher levels at the conclusion of each year, in a systematic and progressive manner. We produce well-rounded, versatile artists that will thrive in today’s dance environment. There's something for everyone at LCDS. From your child's first class to their graduation performance, MDU has a class for everyone! We specialize in beginners of all ages and offer training through pre-professional levels. But, MDU is More Than Just Great Dancing™! Our dancers go beyond technique to develop important life skills, learning to be respectful, confident and conscientious young people who share their gifts and talents with the community. It is NEW Fusion's mission to offer the highest level of training in a positive atmosphere, encouraging self-confidence, personal growth, and an overall love for the arts. We will treat each student, at each level, as an individual, with respect and positive energy. Founded in 2002, Northeast Georgia School of Music and Dance offers dance classes and music lessons for all ages and levels, from beginner to pre-professional. NEGSMD is proud to be the first studio in the state of Georgia to receive the More Than Just Great Dancing ™ affiliation. Our teachers strive to instill their passion for dance and music in their students, while also helping them develop important life skills, such as respect, discipline, confidence, and giving back to our community by sharing their skills and talents. 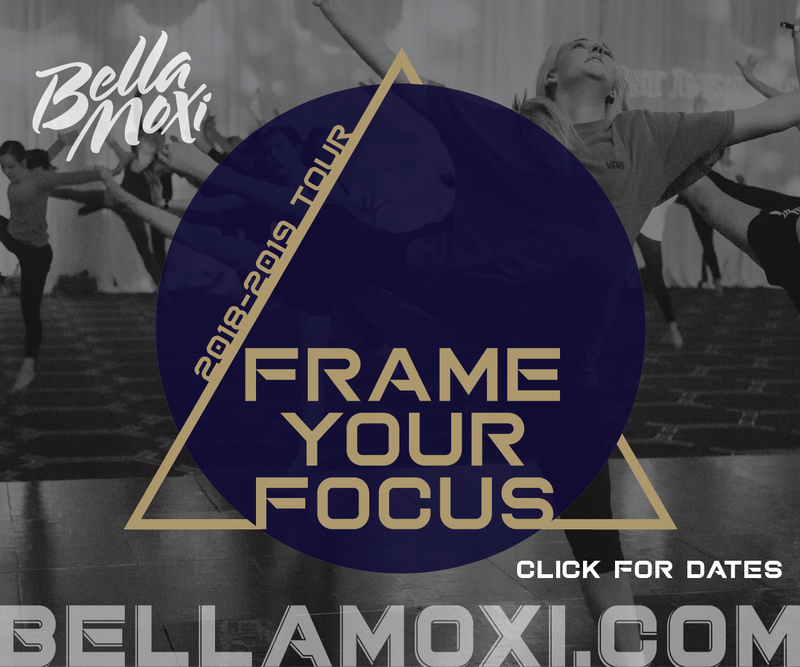 Syllabus: Ballet, Modern, Contemporary, Jazz, Theater, Hip Hop, Street Jazz, House, Tap, Salsa, African, Bagua, Sword Fighting, Zumba, Yoga, Stretch, Pilates, GYROKINESISÂ®, teacher-trainning and more. Peridance Capezio Center is proud to invite all students, beginners to professionals, to come and enjoy over 250 weekly dance classes! Peridance provides an unparalleled variety of workshops,master classes, and guest teachers, offering excellent training programs of the highest level.The School at Peridance offers comprehensive Children and Teen classes, ages 18 months to 18 years. 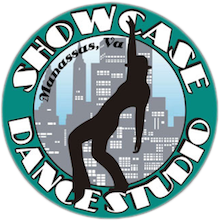 Showcase Dance Studio offers a developmentally appropriate environment by presenting age-appropriate curriculum's, music, and costuming for all of our students. Our program is designed to engage students through visual, auditory, and kinesthetic learning styles. Our goal is to foster a lifetime love of dance! We are proud to be a Founding Member of More Than Just Great Dancing! 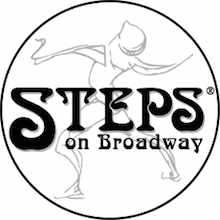 Syllabus: Steps on Broadway offers professional and adult classes 7 days a week at all levels in Ballet, Jazz, Modern, Contemporary, Tap, Theater Dance, Hip Hop, World Dance, Pilates, Zumba, Gyrokinesis and Yoga. Supplementing the daily class schedule are guest teachers, master classes, and workshops. Professional Training Programs include Steps Conservatory Program (students can choose from a Contemporary/Ballet or Theater Dance/Jazz course of study), Summer Study NYC: A Contemporary Intensive, Steps' Steele Pilates Teacher Certification, and International Student Independent Study Program. Steps on Broadway, founded in 1979, is the epicenter of New York’s professional dance community. It is home to many world-renowned teachers, and a training ground for generations of aspiring and professional dancers. On any given day, one may take class with performers and seasoned veterans from renowned dance companies, such as New York City Ballet, American Ballet Theatre, Paris Opera, Kirov and Royal Ballets, Boston Ballet, Alvin Ailey American Dance Theater, Complexions, and Martha Graham, as well as the opera, Broadway, and the commercial dance world. Daily professional and adult classes are offered at all levels supplemented by master classes and workshops. Student programs include Professional Training Programs and Work/Study opportunities. The Steps Repertory Ensemble is the resident contemporary company of Steps on Broadway. The Steps Beyond Foundation presents performances, films, panel discussions, and other special events. The School at Steps offers year-round programs for ages 2-18. Together, the three divisions make Steps on Broadway a complete resource for dancers and the community. 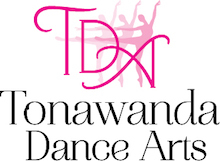 Established in 1997, Tonawanda Dance Arts is committed to giving quality dance education to the children of the surrounding communities. It is under the direction of Melanie and Kelsey Boniszewski. It is the first dance studio in New York State to receive the “More Than Just Great Dancing” affiliation. We have three fully equipped studios with viewing windows so you may watch your child dance each week. Our staff consists of professional, friendly, experienced and energetic instructors to help your children learn the art of dance while gaining self-confidence and a sense of accomplishment. They are dedicated to ensuring that your child receives the proper training needed for them to reach their full potential in their dance education. Our instructors and assistant instructors are currently continuing their dance education to keep up with the current trends and techniques in the ever changing art of dance. We realize that dance lessons should be disciplined, along with fun and energetic. We are committed to giving your children the best dance education possible. From a child’s very first class to the advanced, West Chester Academy has a class for everyone in music, dance, acting, and gymnastics. We specialize in beginners of all ages and offer training through pre-professional levels. West Chester Academy is home to over 40 highly qualified, professional, and nurturing instructors. They work diligently to help create a fun learning community where students of all abilities are inspired to reach their highest potential. Families often find that our broad range of offerings allows them to place multiple family members in different lessons at the same time, saving valuable time and energy. Yorkville Performing Arts Center (YPAC) is the premier provider of dance, music, and acting classes in Kenall County. Offering classes and private lessons for all ages and skill levels you will find a place in our arts community. When you step into our center you will experience community through the arts and find a positive atmosphere where people grow, develop and give back to their communities by sharing their art and talents. Airborne Dance academy in Longmont, Colorado offers dance classes for kids including ballet lessons, hip hop dance, tap dance, toddler dance classes, lessons for all levels and more! Dance at Academie de Ballet Classique. Find your ballet, tap, contemporary, lyrical dance class in Bend, Oregon. Register today.